Automakers, manufacturers and enthusiasts from around the world are revving up for the 2018 Chicago Auto Show. The nation's largest and best-attended auto show, held annually at McCormick Place, opened to the public Feb. 10 and runs through Feb. 19. 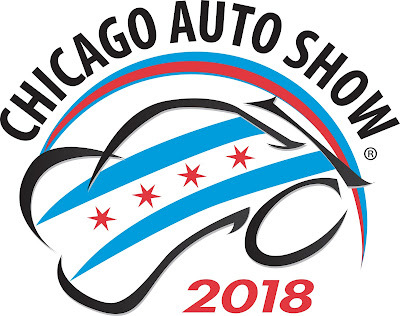 The show is open 10 a.m. to 10 p.m. each day, except for the final day of the show when it closes at 8 p.m.
Dignitaries and show officials have cut ribbon on the 110th edition of the Chicago Auto Show Saturday, officially opening the longest-running auto show in North America. Consumers are once again treated to more than one million sq. ft. of exhibit space, appearances from celebrities and sports icons, and interactive displays for the whole family. The 2018 Chicago Auto Show promises visitors exclusive access to nearly 1,000 of the newest and most exciting vehicles, including more than a dozen vehicles that made their global or North American debuts during this week's Media Preview. Those include the much-anticipated 2019 Volkswagen Arteon, Hyundai Sonata Hybrid and Plug-in Hybrid, Fiat 500, 2019 Ford Transit Connect Wagon and Edge Titanium Elite, Toyota 4Runner, Tacoma and Tundra TRD Pro models and Slingshot Grand Touring Limited Edition. Two winter-themed concept vehicles from Nissan were also unveiled, the Nissan Armada Snow Patrol concept and the 370Zki concept and Subaru celebrated its 50thanniversary with the release of special edition automobiles across its entire 2018 lineup. In addition to the latest production, concept and exotic vehicles, the show is packed with opportunities for attendees to get behind the wheel. Seven outdoor ride-and-drive experiences hosted by Cadillac, Ford, Kia, Mazda, Subaru, Volkswagen and the Chicago Area Clean Cities Coalition offer an up-close look into the most recent cars, trucks, SUVs and electric vehicles to hit the market. Three indoor test-driving tracks, including Camp Jeep, Kia's SUV Gym, and Toyota's Camry Thrill Ride, will highlight cutting-edge technologies and vehicle capabilities right from the show floor. New and returning exhibits across the show floor, including numerous driving simulators, offer fans the fun and interactive experiences they've come to expect in Chicago. "The Chicago Auto Show is a consumer-driven show unlike any other automotive expo in the world," John Hennessy, 2018 Chicago Auto Show chairman, said. "We offer visitors unfettered access to vehicles and unique, hands-on experiences that enable them to make informed purchase decisions down the road. With new and exciting exhibits from nearly every manufacturer on the show floor, the 2018 Chicago Auto Show has something for everyone." Media from around the globe gathered at McCormick Place this week for the Media Preview, where they received a first look at the more than a dozen new and updated vehicles making their debut in Chicago. Fans of the Chicago Auto Show's Facebook page were once again able to watch the vehicle revels and news conferences along with their favorite reporters in real time via Facebook Live. The Chicago Auto Show continues to offer new and exciting opportunities for fans to get into the action through social media. New and returning digital experiences include the official Chicago Auto Show mobile app, a virtual tour guide taking fans behind the scenes; #CAS18 BUZZHUB, a social engagement space featuring real-time news feeds and impressive photo backdrops, powered by Cars.com; and ongoing social media contests throughout the show floor, accessible by following the Chicago Auto Show on Facebook, Twitter, Instagram and Snapchat. Women's Day: Tuesday, Feb. 13. Women are admitted for $7. Manufacturers present special women-oriented programs on the purchase, lease and maintenance of vehicles. For continuing coverage and a behind-the-scenes look at the show, follow the Chicago Auto Show on social media. For more information about the 2018 Chicago Auto Show, please visit chicagoautoshow.com.